Consistency and cranberries are soft. Take it off the heat and cool. Blend it to a pulse to make the sauce. Set aside. Preheat oven to 230º C. Grease a 17×12” baking pan, line it with parchment paper and then grease the paper. To the separated yolks, add the additional 1 egg yolk, and the two remaining whole eggs. Whisk the egg yolks using a hand blender on high speed for five minutes, or until thick, pale yellow, and puffy. Add the vanilla extract, half of the sifted our mixture over the beaten egg yolk mixture and fold in gently with a spatula. Sift the remaining our mixture into the batter and fold in. Now in a separate bowl whisk egg whites until foamy and soft peaks form. Sprinkle the remaining one tbsp. of sugar and beat until stiff peaks form. Gently fold egg whites into the mixture without de eating the egg whites. 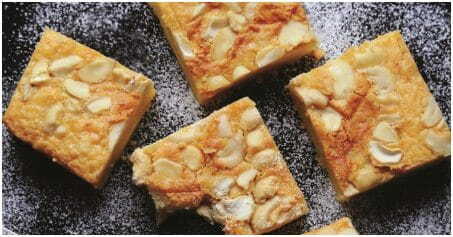 Bake for about 10 minutes or until golden brown and when lightly pressed, springs back. Remove the cake from the oven, invert the cake onto a clean dish towel. Remove the parchment paper, and roll up the sponge, with the towel. Let sponge cool down in the towel for 5 – 10 minutes. 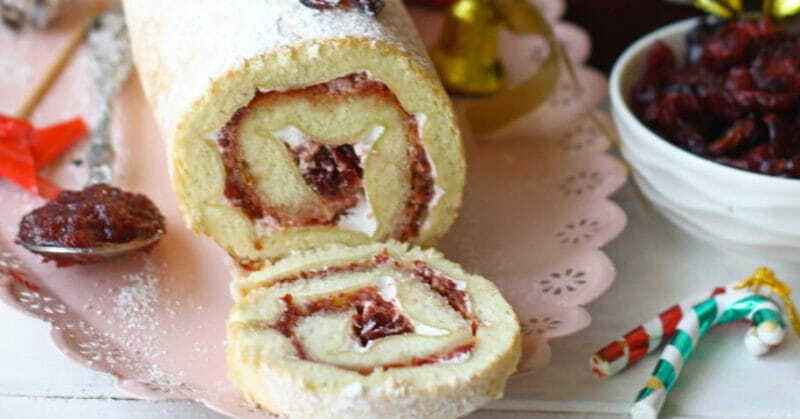 To assemble the jelly roll: Unroll the sponge from the towel, spread a thin layer of whipped cream followed by a thin layer of cranberry sauce. Just before serving, dust with confectioners’ sugar. Slice and serve. 5 Red Outfits To Wear For The Christmas!